When you draw several sections of linear items that are of the same type (sections of road, etc. ), the intersections formed by two or more such sections automatically form “Intersection” items. Line intersections are items that are exclusively connected to items of a single type such as motorways or other transport lines. 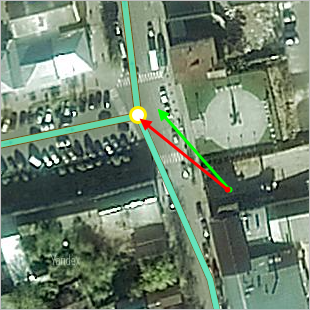 If a motorway intersects a metro line (or in other similar cases), then an “intersection” item is not formed. When drawing roads sections, do not create new road sections or their intersection boundaries excessively. 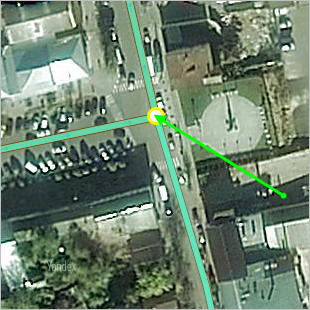 Intersections of roads and transport lines may be used to edit items. 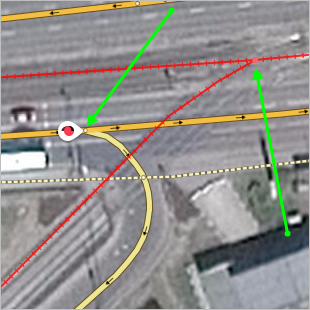 In these situations you can edit the intersection along with all the road sections that relate to it, rather than editing each section separately. In the attribute panel, click Edit . 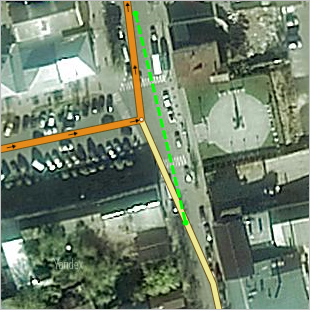 If necessary, you can delete the intersection (for example, when several consecutive sections of road with identical attributes are joined into one section).